Pulling myself away from the beach, I backtracked west towards the Guatemalan border in search of caves, a famous attraction in this part of Belize. The cave on top of everyone’s list is Actun Tunichil Muknal, the Cave of the Crystal Sepulcher commonly referred to as ATM. It is both the most popular and most expensive cave to visit ($170Bz). I booked a tour through my hotel (J&R Guest House) with a well-known tour guide, Carlos, who my friends recommended highly. Unfortunately he had to cancel and sent a replacement from Hun Chi’ik tours. 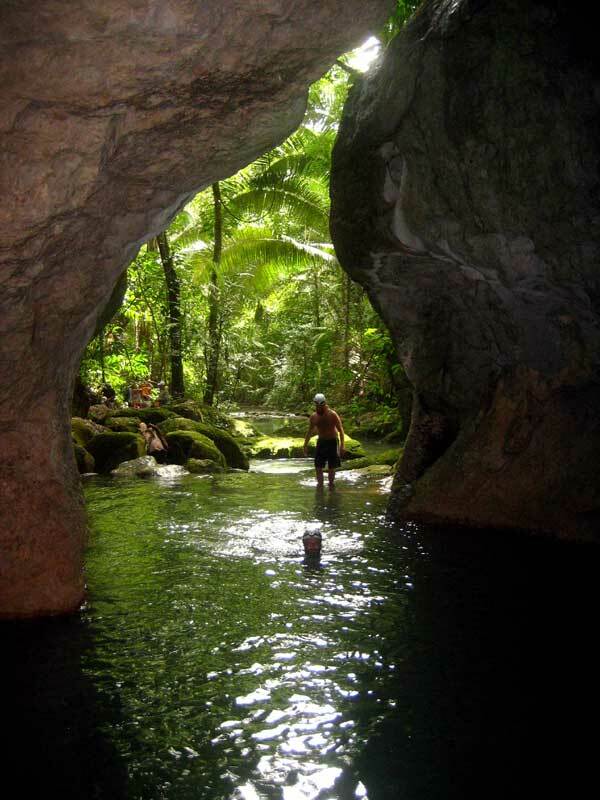 The morning, my group of ten drove one hour east from San Ignacio, hiked an easy 20 minutes from the parking lot, and entered the cave swimming in between tall cavern walls. We continued wading through water and walking over rocks moving from room to room. Most spaces we were in were very open and the scale of the place felt impressive. The walls of quartz made me think of my Grandma and the geology lessons and projects she used to give us as kids. ❤ Twice we had to navigate a tight space, but not often was there any true physical challenge (once, we climbed a ladder!). It is an accessible cave for most visitors. The entrance, the deepest swimming you do in the whole cave. Most other places it is shallow enough to walk. 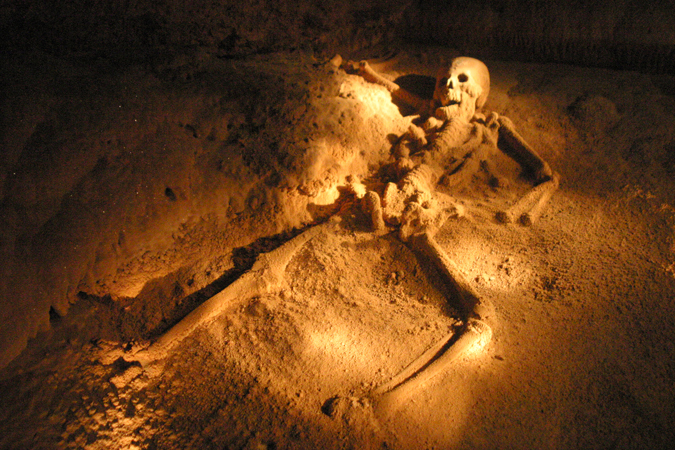 One of the special things about ATM is that it was used by the Mayans as a ceremonial space and when it was discovered twenty-some years ago artifacts were left where they were found, making the cave a living museum. The Mayans believed the spirits of their ancestors dwelt in the caves and performed rituals including human sacrifice inside ATM in their honor. In the main chamber you see pots and crystallized human remains. The apex of the tour is a full skeleton that has been claimed by the crystals. The tour experience on the other hand I found to be quite gentled. 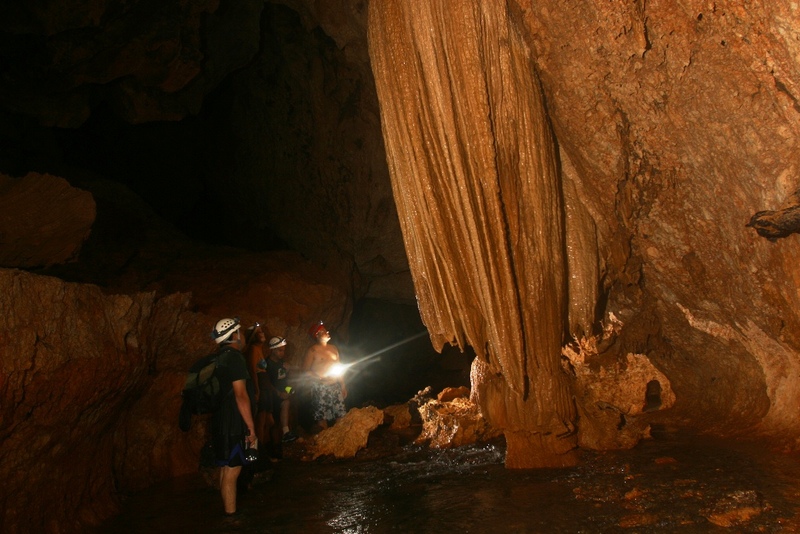 ATM is the top cave tour in the region, one that everyone goes on, and it showed. I was shocked by how crowded the cave felt. We were inside from about 11am-1:30pm and were constantly bumping into or waiting on other tour groups. The pace felt slow. We wore protective helmets, headlamps, and reef shoes. My young guide seemed uncomfortable going off script and I found his source material (many Discovery Channel-esque tv special references) suspect. The principle information we got was there’s a big rock here, watch your head here. I’m an adult. I can figure out where to put my feet. And If I don’t come out of a cave without a few scrapes then I don’t feel I have been exploring, you know? I felt like it was a good tour, but somewhat unsatisfied. Was it really worth the trip? The next day I visited Crystal Cave and it blew my mind. Bottom line: ATM is for tourists, Crystal is for adventurers.